Lamont Coleman (May 30, 1974 – February 15, 1999), best known by his stage name Big L, was an American hip hop recording artist, born and raised in Harlem, New York City, New York. Coleman embarked on his career in rapping, with the hip hop trio, Three the Hard Way. His first notable appearance came on Lord Finesse's "Yes You May (Remix)". Coleman released his debut album, Lifestylez ov da Poor & Dangerous, in 1995 and significantly contributed to the underground hip hop scene. 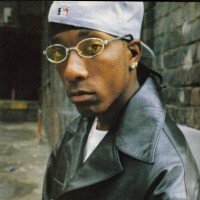 In 1998, he founded Flamboyant Entertainment, his own indie label, through which he released one of his most popular singles, "Ebonics" (1998). On February 15, 1999, Coleman was killed by an unknown assailant in a drive-by shooting in his native Harlem. His second studio album, The Big Picture, was put together by Coleman's manager, Rich King, and released posthumously the following year. It was eventually certified gold by the Recording Industry Association of America (RIAA). Three posthumous albums have been released, mainly consisting of unreleased songs which were put together by Rich King and his brother, Donald. Multiple tributes have been given to Coleman, including in The Source, MTV, and HipHop DX. A documentary is in the works titled Street Struck: The Big L Story (2016). About.com called him the twenty-third best MC of all time, and multiple writers at Allmusic have given him high praise.